After months of refurbishment and anticipation, the second iydea restaurant has finally opened on the western side of Brighton, close to Hove. 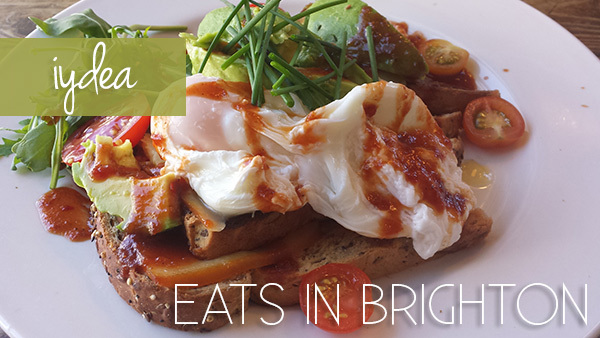 The vegetarian restaurant prides itself on fresh, local and fast food, and has received a number of foodie awards. 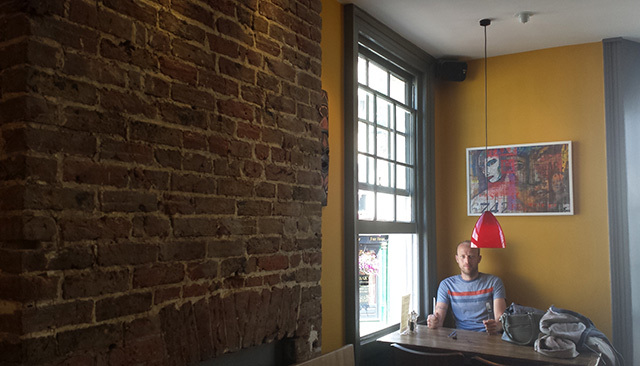 We are regulars at the North Laines’ restaurant, so were very keen to try out the new one. 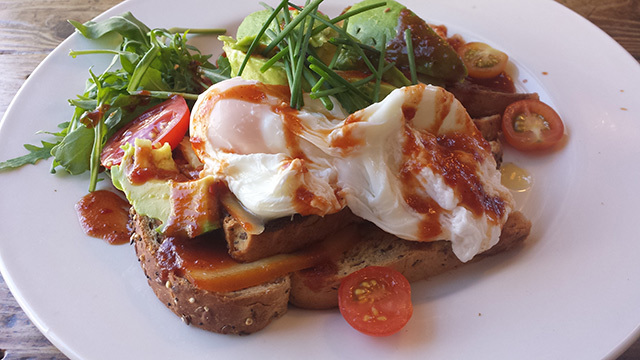 We found ourselves free from Cholly one morning, so decided to go and taste their huge brunch menu. 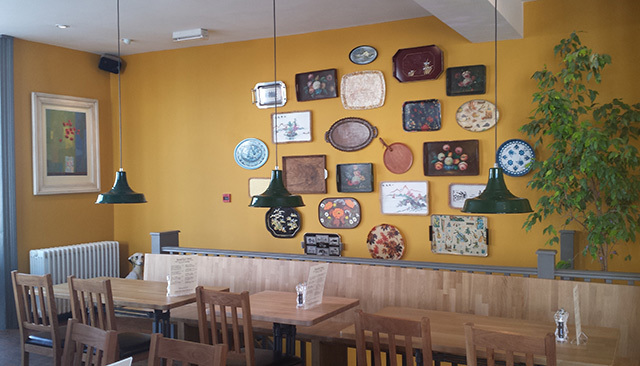 The space has undergone a considerable refurbishment, transforming itself from one of Brighton’s fanciest restaurants, La Fourchette, into a trendy, urban and modern space. I’m always partial to a dish that focuses on the majestic egg, so chose ‘Eggs a la Iydea’ while Pa went for the granola bowl and the full english breakfast. My plate of eggs was beautifully presented, full of colour and personality. The poached eggs were done perfectly, laid on buttery toast with smoked cheddar and avocado, and garnished with cherry tomatoes and a generous dollop of sweet chilli sauce. It was flavourful, and the sweet chilli added a welcome kick to the dish. 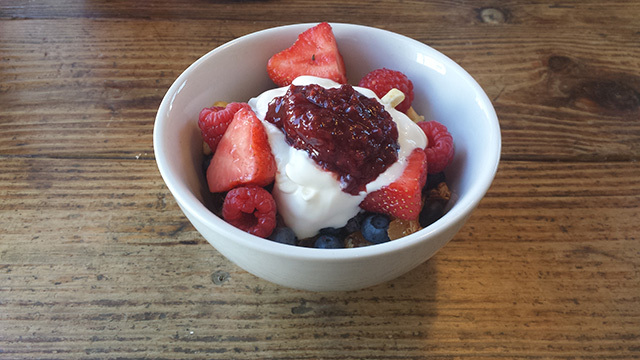 The granola bowl was full of flavour and fresh fruit, and a much needed health-clad start to the day. The full english included veggie sausages, mushrooms, beans and scrambled egg, but sadly lacked a little in taste. It was pretty good, but not great. Despite the slight lack of flavour in pa’s breakfast, we had an enjoyable time in a very welcoming space and would recommend it if you’re in the area. There is a lack of good ‘breakfast’ joints in this side of town (except for the excellent Billies Cafe and Koba), which may play to Iydea’s fortune.